Cravings — Should You Fight Them or Listen To Them? There’s a lot of confusion out there over craving. And this confusion is causing a lot of problems. People trying to adopt all sorts of restrictive habits and setting themselves up for falling off the wagon and bingeing. Or perhaps trying to listen to their body’s signals and that approach resulting nothing except a fatter body and even worse health. So what’s the deal–are cravings something to be “killed” or “listened to”? But intuitive eating advocates say that you should listen to your body and give it what it needs. So which advice should you follow? A craving for water is intelligent if you’re genuinely dehydrated, but if you’re one of those people who drinks a gallon of water a day and you constantly find yourself needing a sip of water every few minutes, that is NOT an intelligent craving that you should listen to. If a person has been systematically depriving their body of protein for years, a craving for some fish or a steak may actually be an intelligent sign of your body needing that substance. But if you eat animal flesh daily and you still constantly find yourself craving a steak every day, that’s probably NOT an intelligent craving from your body. Similarly, if you’re eating a very low-carb diet, a carb craving for something sugary is likely an intelligent signal from your body. But a CONSTANT craving for sugary stuff is likely NOT an intelligent signal from your body. Cravings tons of carbs because you just went for a 20-mile bike ride or did a weight training workout is different than a sedentary person craving candy and soda throughout the day. If you’re genuinely dehydrated, a craving for water is absolutely an intelligent signal from your body. But if you’re that person who’s always carrying around a jug of water wherever you go and drinking a gallon a day and are always craving it, that’s likely a dysfunctional craving that you have trained your body into–NOT a signal from your body that it requires two gallons of water per day. Outside of the context of extreme restriction of one nutrient/food group, cravings are generally NOT intelligent. The kind of cravings that most people deal with–cravings for processed junk food rich in sugar and fat–are almost NEVER indicative of your body genuinely needing those foods. But… that doesn’t mean the answer is that they are bad and the solution is simply to fight them off! HIGH REWARD FOOD. Cravings induced by neurological changes that result from regularly consuming highly rewardingprocessed food. The very act of consuming such foods regularly actually promotes neurological shifts in the brain (specifically, a raising of the reward threshold–the amount of a substance it takes to feel a certain amount of pleasure–in the pleasure center of the brain) that increase the desire for highly rewarding foods. In other words, the more of these foods you consume and more frequently you do so, the more you will tend to want more of them. (1) (2) (3) (4) (5) (6) (This is exacerbated by the fact that you will feel LESS pleasure from eating more normal whole foods, which will start to taste bland to you). BOREDOM/TENSION/ANXIETY. Some people use food as a way of compulsively trying to soothe themselves emotionally. (7)(8) This is often referred to as “emotional eating.” Robert Thayer has written extensively about the science underlying this in his book Calm Energy: How People Regulate Mood with Food and Exercise. The problem with using food to manage our foods is that it is an exceptionally poor way of doing so. It’s the equivalent of having a headache and then smashing your foot with a hammer as a way to distract yourself from the pain of the headache–it will worktemporarily to take your mind of your headache, but at the expense of causing yourself even more harm. Using food to manage mood is like that. It will work temporarily to fill you up when you’re empty (both literally and emotionally), but the effect is short-lived and fleeting. Ultimately this is a dysfunctional way of trying to soothe ourselves that doesn’t really get at the underlying issue, and because it causes you to eat when your body is not physiologically in need of food, it causes us lots of problems if we use this strategy regularly (i.e. fat gain and diabetes, poor ene rgylevels, etc.). These 3 factors: Consumption of highly rewarding junk food itself, sitting, and disrupted circadian rhythm/sleep deprivation are the major cause of junk food cravings. So if excessive sitting, boredom, or disrupted circadian rhythm/sleep deprivation, should you FIGHT your cravings, or LISTEN to them? The answer to this craving problem is not to fight against these cravings or listen to them! If your cravings are induced by neurological changes that have resulted simply from the consumption of high fat and sugar junk food, the solution is not to try to fight against these cravings by cutting out sugar or carbs or fat or whatever food group (which will likely result in some temporary benefit, but will ultimately cause you to fail and binge in the long run, and leave you even more hopeless than when you began). The solution is also NOT to just keep eating more of these foods believing that they are some intelligent signal from your body about what it needs (which will only make you fat). The solution is that you should slowly and systematically work on lowering the reward value of your diet. (See HERE and HERE for more on that subject). This will start to undo the neurological changes in the pleasure center of your brain that raised your reward threshold. In short, it will RE-SENSITIVE the pleasure center of your brain to be able to derive pleasure from regular, non junk foods. If your cravings are the result of working a desk job and sitting too much, then rather than fighting the cravings (or worse, LISTENING to them! ), you need to address the underlying issue of SITTING that is disrupting your brain’s ability to regulate appetite properly. To do that, go watch the video (or read the article) I did HERE that will show you the different options of how you can fix this issue. If your cravings are the result of sleep deprivation/disrupted circadian rhythm, then the solution isn’t to fight against your cravings or perceive them as intelligent signals from your body about what it needs–the solution is that you need to fix the underlying problem of your circadian rhythm, sleep, and light exposure habits. Ultimately, you don’t need to “crush” or “kill” your cravings. Nor do you need to follow some protocol of trying to always “listen to your cravings” as though they are intelligent signals from your body guiding it towards what it needs to be healthy. What you do need to do is understand WHY you have those cravings in the first place, and then address the underlying issue. Ultimately this is about working with your biology instead of trying to fight against it. (Or trying to work with it by listening to the wrong signals–i.e. 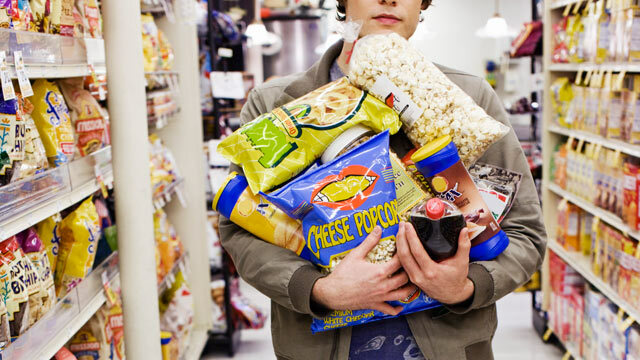 eating junk food as a response to excessive sitting or disrupted circadian rhythm). Follow the above advice and you can forget about this whole dilemma of “fight against your vravings” vs. “listen to your cravings.” Address the problems at their source and prepare to see your energy levels and body composition reach new heights. If you want to take your health and body to the next level, I offer a FREE test that allows you to determine EXACTLY what specific factors are sabotaging back your fat loss efforts, which you can access HERE. http://ariwhitten.com/wp-content/uploads/2017/08/G.png 0 0 admin http://ariwhitten.com/wp-content/uploads/2017/08/G.png admin2015-04-17 16:46:592015-04-17 16:46:59Cravings -- Should You Fight Them or Listen To Them?